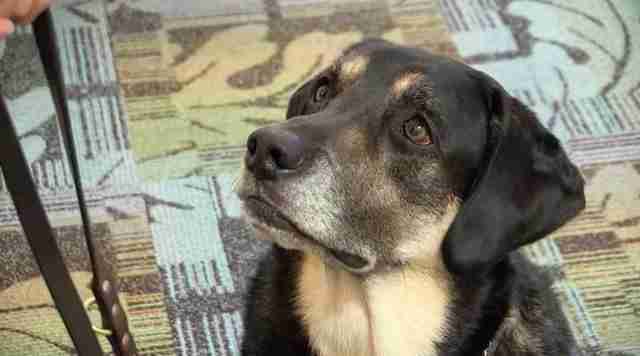 Therapy dogs change lives, and bring comfort to so many who need it - but Joe, a black and tan Lab mix, is so much more than just a therapy dog. He may be the only dog in the world whose job is actually to seek out and identify people suffering from anxiety and depression. 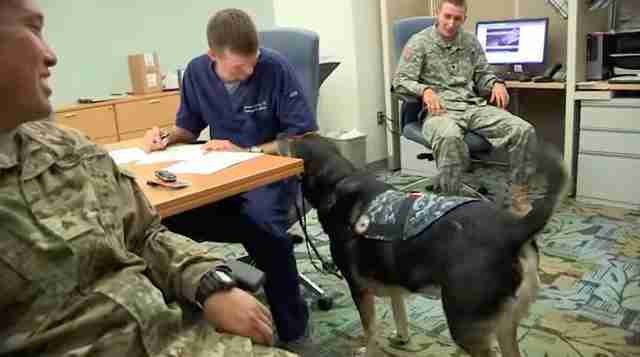 Joe works with his handler, Navy Lieutenant Commander Tracy Krauss, a behavioral health nurse at Fort Belvoir Community Hospital, a military hospital in Virginia. Whenever Joe and Krauss walk into a room, he checks in with everyone he sees. If Joe senses that someone is feeling depressed or upset, he'll lie down in front of their feet. "He's identified 47 people showing signs of emotional distress, 7 of those people admitted to having a suicide plan," Krauss said in a video produced by the U.S. Navy. "He's never been wrong. He's an awesome dog." She isn't sure exactly what cues Joe uses to figure out who is in need - most likely it's a combination of smelling their pheromones and sensing body language. 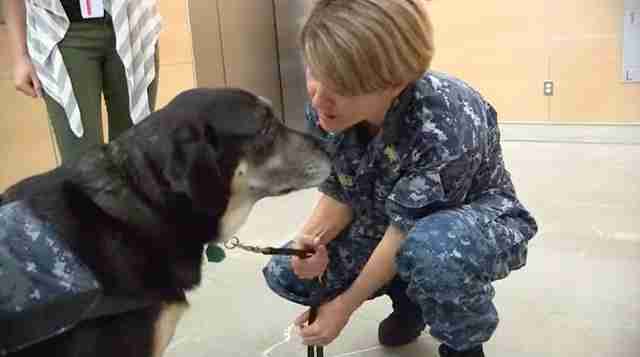 Joe is saving lives - and he's just another example of how strong the bond is between humans and dogs. But even when he's not finding people in immediate danger, he's spreading smiles and cuddles, just like any pup.